Item # 306786 Stash Points: 2,499 (?) This is the number of points you get in The Zumiez Stash for purchasing this item. Stash points are redeemable for exclusive rewards only available to Zumiez Stash members. To redeem your points check out the rewards catalog on thestash.zumiez.com. 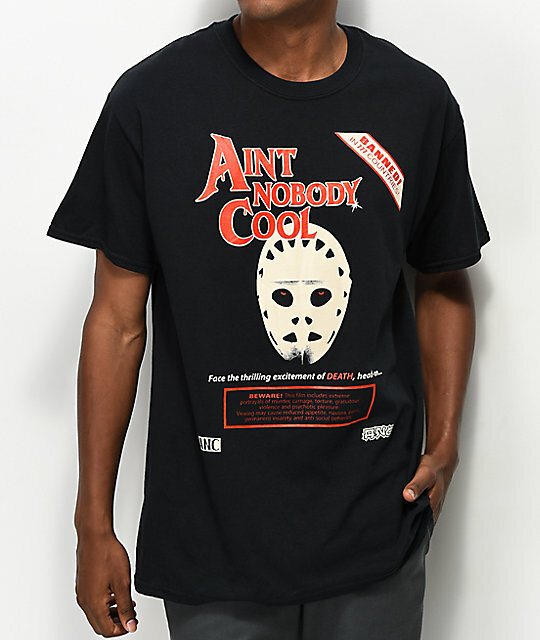 The Death Face black t-shirt from Ain't Nobody Cool has a chest graphic advertising an "Ain't Nobody Cool" movie that reads, "Banned in 777 countries! Face the thrilling excitement of death, head-on. . ." finished with a warning label that the movie could lead to psychosis, so watchers beware! 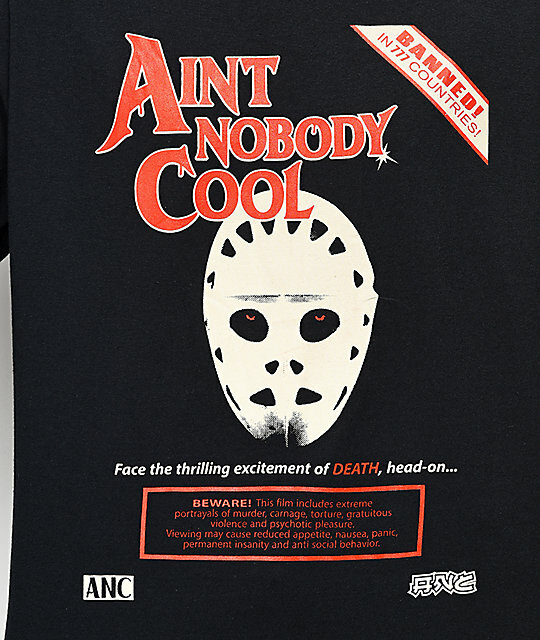 Death Face Black T-Shirt from Ain't Nobody Cool.